I am not a big fan of felted handmade decorations, because they are often kitschy through the too-realistic shapes and too strong colors and combinations. 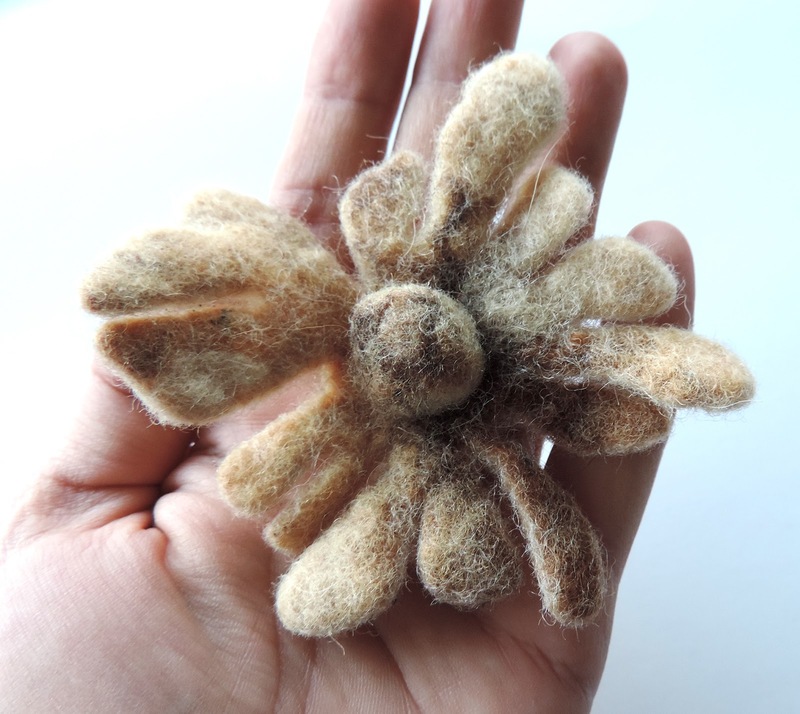 Still, I like simple felted slippers, for example, or a vintage flower in natural colors that I have just added to my Etsy shop, the Transylvanian Trove. 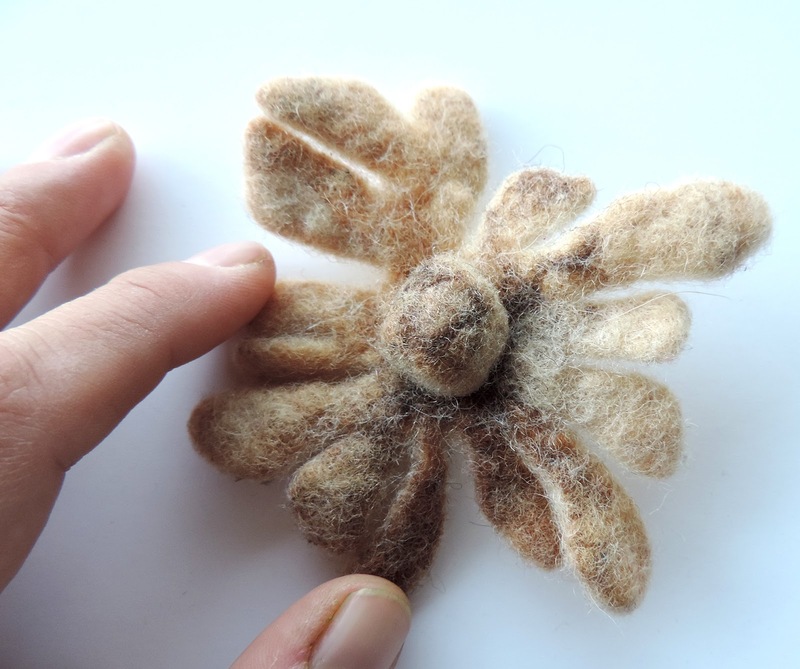 It is a felted flower in warm, autumn colors, irregular, organic shape, and intentionally asymmetric. 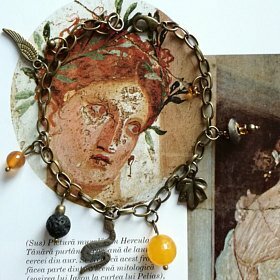 It can be sewn on clothes, as a nice accessory, or can be attached with a pin (not included) and worn as a brooch. Possible decoration for several hair, feet, jewelry and dress accessories. Unique vintage item from Transylvania, entirely handmade. Dimensions: ca. 5 x 4 cm (1.5 x 1.9 inches). Follow Ana's board Ana Maria Gruia art on Pinterest.